According to a report by Football London, Lucas Torreira and Sokratis Papastathopoulos are set to undergo their medicals with Arsenal as Unai Emery looks to secure a £43m double swoop. 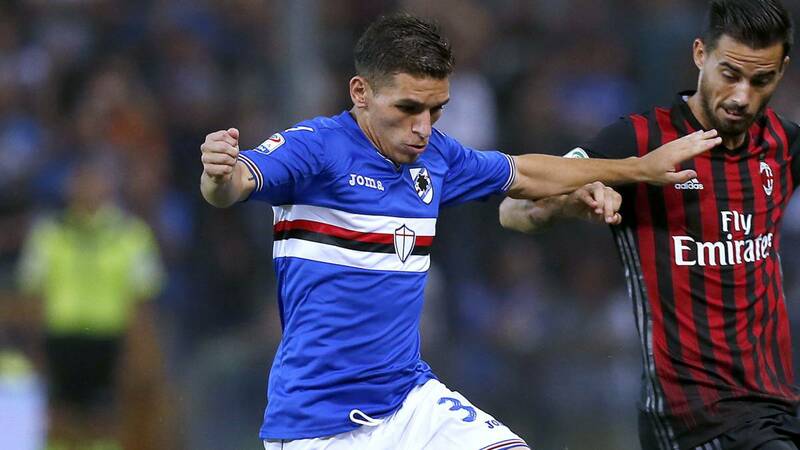 Torreira has been strongly linked with a move to Arsenal in recent weeks after Emery identified the Sampdoria star as being the man to offer some much-needed protection to our back four next season. Our lack of specialist defensive midfielder has been apparent in recent years and while Granit Xhaka has plenty of attributes, his lack of defensive awareness has left us exposed so there’s no doubt we need to sign a holding player and Torreira is the man Emery wants. We’ve reportedly been in talks with Sampdoria and their president Massimo Ferrero let slip last week that a €30m [£26m] deal had been agreed for the 22-year-old to leave this summer. To add fuel to the fire, the agent of reported Arsenal target Stanislav Lobotka claimed the Celta Vigo midfielder was unlikely to make a move to the Emirates because we’ve already bought Torreira. Now, Sky Italia journalist Fabrizio Romano claims that a deal is ‘complete’ and Torreira is due to undergo his medical over the coming days ahead of his move to Arsenal. Torreira will play for Uruguay against Portugal in their World Cup last-16 clash on Saturday so defeat would free the midfielder to complete his proposed switch to north London. If Uruguay progress, then Torreira could have his medical in Russia if needed. Romano also said Arsenal are set to wrap-up a deal to sign Sokratis Papastathopoulos and this is backed-up by the Guardian who claim that a £17.6m fee has been agreed with Borussia Dortmund. The newspaper says the centre-back is expected to undergo his medical over the coming days before being unveiled as Arsenal’s latest new recruit following the arrivals of Stephan Lichtsteiner and Bernd Leno. Sokratis is a no-nonsense defender who’ll bring some experience to our defence so the 30-year-old should hopefully prove to be a solid addition to the squad once he finally completes his move to the Emirates.